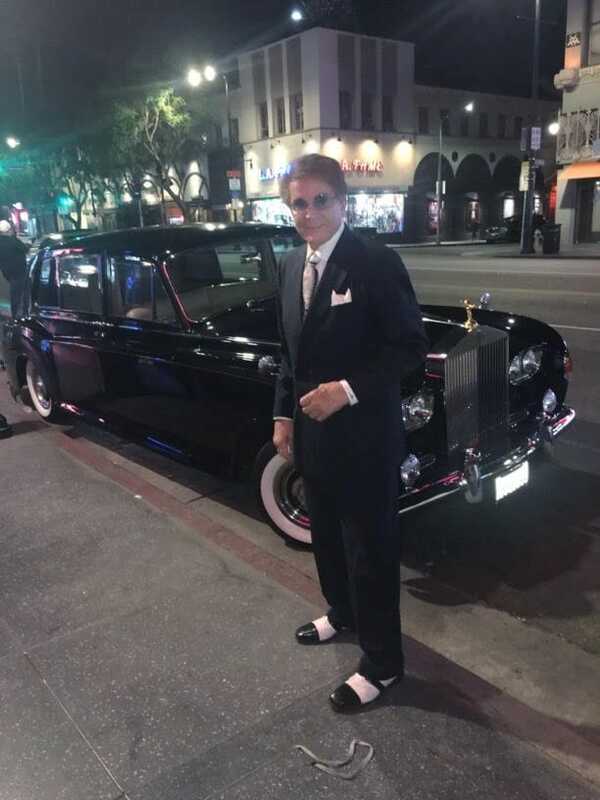 An ordained minister; ministering to the homeless on skid row in Los Angeles, and to those men and women in some of the worst prisons in the country throughout the United States, Mel Novak is a Hollywood legend to all; and simply like an angel to many of those who know him best. 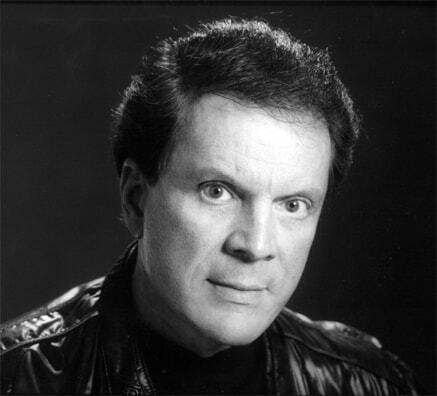 As his biography also states, “Although Mel believes that Christ heals more important things than bodies, he has personally experienced God’s miraculous healing power.” Mel states he has had 28 surgeries, and says, “I should have died 7 times, but God had another plan for me!” He references Jeremiah 29:11-13 from The Bible. A native of Pittsburgh, Mel was an outstanding athlete in several sports. He states he passed up 60 football scholarship offers and signed a pro baseball contract with the Pittsburgh Pirates. His career was cut short by a massive rotator cuff injury. Despite the pain and setback from his injury, Mel says he learned even more clearly “that God works all things together for the good of those who love him and for those called according to His purpose.” He references Romans 8:28. Having died 23 times on screen, Mel says he says happily “I get what I deserve in the end. The Lord’s justice is very much like that.” Mel Novak is a member of the Academy of Motion Picture Arts and Sciences. This content is copyright, 2019, all rights reserved. Cover Art: Courtesy Twentieth Century Fox; TM & © 2018 Twentieth Century Fox Film Corporation. All Rights Reserved. Not for sale or duplication. From visionary filmmakers James Cameron (Avatar) and Robert Rodriguez (Sin City), comes Alita: Battle Angel, an epic adventure of hope and empowerment, based upon the Manga graphic novel series by Yukito Kishiro. 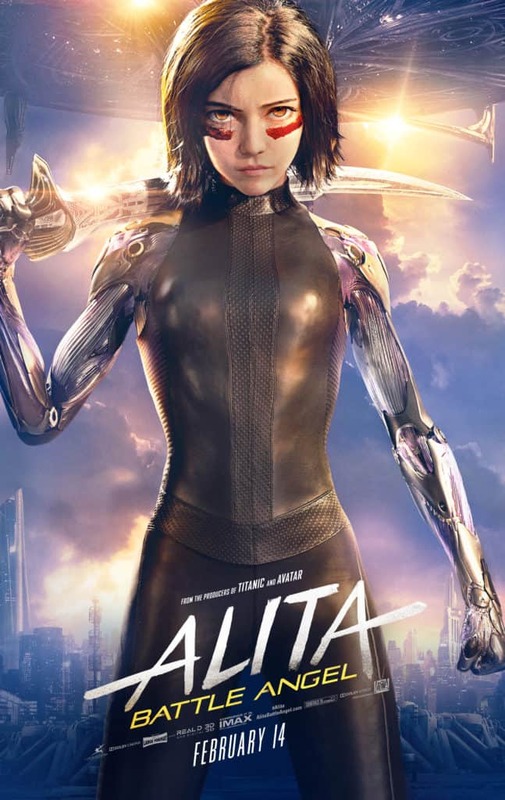 When Alita (Rosa Salazar) awakens with no memory of who she is in a future world she does not recognize, she is taken in by Ido (Christoph Waltz), a compassionate cyberphysician who realizes that somewhere in this abandoned cyborg core is the heart and soul of a young woman with an extraordinary past. As Alita learns to navigate her new life and the treacherous streets of Iron City, Ido tries to shield her from her mysterious history while her street-smart new friend Hugo (Keean Johnson) offers instead to help trigger her memories. But it is only when the deadly and corrupt forces that run the city, headed by Vector (Mahershala Ali), come after Ido and Alita that she discovers a clue to her past – she has unique fighting abilities ingrained in her that those in power will stop at nothing to control. If she can stay out of their grasp, she could be the key to saving her friends, her family and the world she has grown to love. Rosa Salazar (Alita) was recently seen alongside Sandra Bullock in Netflix’s Bird Box, directed by Susanne Bier, which premiered on December 21st and was watched by 45,037,125 accounts in the first week, the best first seven days a Netflix film has received. In 2019 she will star in Undone, Amazon’s first primetime animated series from the BoJack Horseman team. Her past films include The Kindergarten Teacher for Netflix, Maze Runner: The Death Cure for Twentieth Century Fox, CHiPS for Warner Bros., Maze Runner: The Scorch Trials for Twentieth Century Fox, The Divergent Series: Insurgent for Summit, Search Party for Focus and Night Owls for Orion among others. Her past television work includes Big Mouth for Netflix, Man Seeking Woman for FXX and Parenthood for NBC among others. Her directorial debut, the short film Good Crazy, premiered in competition at Sundance in 2017. Rosa was born in Washington D.C. and raised in Greenbelt, Maryland. 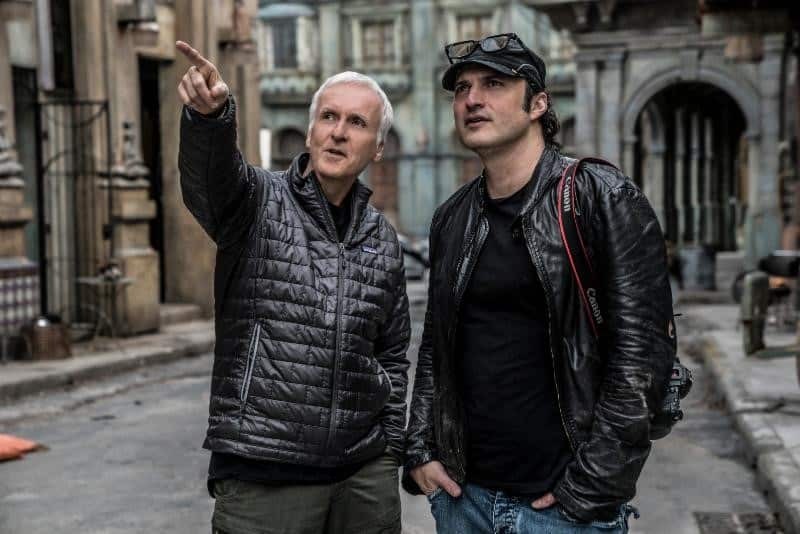 Producer James Cameron and Director Robert Rodriguez on the set of ALITA: BATTLE ANGEL. Photo Credit: Rico Torres. Courtesy Twentieth Century Fox TM & © 2018 Twentieth Century Fox Film Corporation. All Rights Reserved. Not for sale or duplication. James Cameron (Screenplay, Producer) is an acclaimed film-maker and explorer. As director, writer and producer he is responsible for some of the most memorable films of the past three decades: The Terminator, Aliens, The Abyss, Terminator 2: Judgment Day, True Lies, Titanic, and Avatar. Avatar is the highest grossing film in history with over $2.7 billion in global box office, beating the previous record holder, Cameron’s own film Titanic, which held that record for 12 years. Cameron’s films have also earned numerous nominations and awards, most notably Titanic’s 14 Academy Award nominations (a record) and 11 Oscars (also a record), including Cameron’s own 3 Oscars for Best Picture, Best Direction and Best Editing. Both Titanic and Avatar won the Golden Globe for Best Director and Best Picture. Avatar was nominated for 9 Academy Awards and won 3 Academy Awards. Over the last 17 years Cameron developed cutting edge 3D camera systems for movies and documentaries, as well as for broadcast sports and special events. He was at the vanguard of the 3D renaissance that has transformed the movie industry in recent years. He also developed unprecedented deep ocean exploration vehicles, lighting and 3D camera equipment. Most recently, Cameron led his eighth deep ocean expedition to some of the deepest trenches in the world. On March 26, 2012, he set the world’s solo deep diving record of 35,787’ in the Challenger Deep in a vehicle of his own design. Cameron is a National Geographic Explorer in Residence, and recipient of their most prestigious award, the Hubbard Medal, as well as the Explorer’s Club medal for Explorer of the Year. Cameron is also passionately involved in sustainability issues, having founded the Avatar Alliance Foundation to take action on climate change, energy policy, deforestation, indigenous rights, ocean conservation and sustainable agriculture. His production company, Lightstorm Entertainment, installed a 1-megawatt solar array on the roofs of their soundstages at Manhattan Beach Studios, to generate all the power for the Avatar sequels. James and Suzy Amis Cameron, both environmental vegans, founded the Plant Power Taskforce to promote awareness of the impact of animal agriculture on the environment and climate. He is currently in production on Avatar 2, 3, 4 and 5. ALITA: BATTLE ANGEL, text, images and trailer with kind courtesy of Twentieth Century Fox TM & © 2018 Twentieth Century Fox Film Corporation. Not for sale or duplication. All rights reserved.